Price Skimming: Is It One of the Best Product Pricing Strategies? What is price skimming? Making the right pricing decision, understanding the best product pricing strategies and using price comparison websites or other tactics for research is important for your business. Price skimming is also known as market skimming; it is one of a number of product pricing strategies that needs to be considered as part of your sales planning process, part of your pricing decision plans, and as part of your marketing process. Price is a part of your marketing mix program (which includes the 4 Ps of Marketing - place, product, price and promotion). The strategy of price or market skimming has a negative connotation (some might think you are taking advantage of the market) but it is actually a viable, and positive pricing strategy that can be used very effectively. Use this strategy when there are enough buyers in the marketplace and the product is in high demand; the cost of producing small volumes of the product is relatively low and certainly lower than the price set by the skimming strategy; and the high price does not attract hungry competitors into the marketplace. What it is: Price or market skimming raises the price above the real market price to be able to cover costs quickly and earn a quick profit. The price is gradually lowered over time to the market price as the product becomes more widely distributed, and as more competition enters the market. Why and When to use it: This strategy works for products in high demand or for products with few competitors and/or weak competitors (it is one of a number of popular product pricing strategies). Before you use this strategy, make sure understand your competition in business and conduct a competitor analysis and an industry analysis to thoroughly understand your market. Use this strategy in the growth stage of the product life cycle when demand and sales are high. However monitor your competition carefully (use a value chain analysis to compare your business to theirs) if using this strategy, their response might be to come into the market with a more realistic price and may make you look like you've been gouging the market - you will have a hard time coming back from that bad image. Make sure that you can explain that as the first entrant into the market, you took all the risk - and that had to be worth a higher price, even if just for a short while. As with all price strategies, it is important to thoroughly understand buyer behavior, to be able to predict competitive response to your pricing strategies, and to have a clear understanding of the relationship between your costs and the price. If you can learn to thoroughly understand your market, and act on that understanding, you will enjoy substantial small business growth. Ensure that you do the necessary market research and competitive intelligence analysis (such as reviewing price comparison websites within your industry or market) before making pricing decisions. 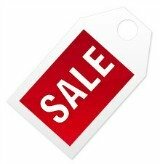 Price skimming is only one of many strategies (promotional pricing, psychological pricing, market penetration pricing, value pricing, loss leader strategy, and more) that you need to consider in setting your price; recognize that your strategy needs to be flexible and fluid - just like the market you operate in. Find alternative Pricing Methods that might better fit your strategy. For more on pricing policies, consider other Competitive Strategies or Pricing Strategies. Return to Pricing Strategy to find out more about the different price techniques available. Or return from Price Skimming to More For Small Business.